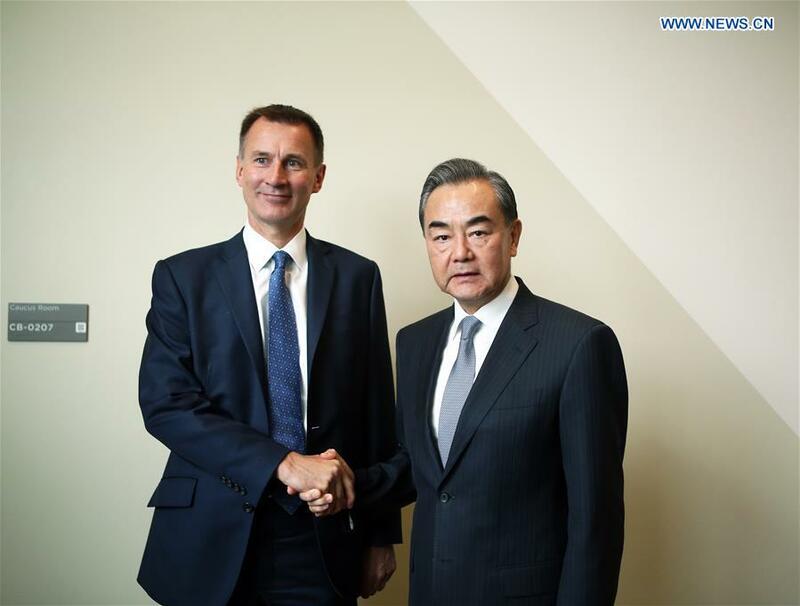 Chinese Foreign Minister Wang Yi and his British counterpart Jeremy Hunt on Monday vowed to defend the current international system and multilateralism amid a slew of challenges. During their meeting on the margins of the UN General Assembly session, Wang said that China and Britain, both permanent members of UN Security Council, should make their ties a stabilizer in a world fraught with uncertainty. 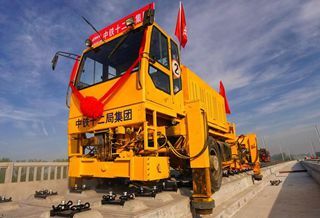 China insists on its commitment to win-win cooperation and development, and will not take the West's old path that a strong country is bound to seek hegemony, Wang said. China is one of the founders and guardians of the current international system and world order, Wang said, noting that China is willing to enhance its cooperation with other countries including Britain to defend multilateralism and tackle all kinds of challenges. Wang also urged Britain to honor its commitment not to take sides regarding the South China Sea issue. He said China expects Britain to materialize its promise and show true respect for China's national sovereignty and territorial integrity. China expects Britain to do more things that promote bilateral ties, rather than those that undermine mutual trust, so as to secure a healthy and stable development of China-Britain relations. For his part, Hunt reiterated Britain's stance that it will not take sides on the South China Sea issue, and is willing to properly handle disputes through dialogue with China. He added that Britain highly values its ties with China, and is ready to build a Golden Era together with China. Britain does not see China's rise as a threat, and is willing to commit to safeguard a rules-based international order while strengthening strategic dialogue and deepening exchanges and cooperation in various fields with China, Hunt said.